Protecting your Brand – Why do it? Registering your Brand protects you from theft, and grants you immunity from 3rd party infringement actions. Your Brand may be your business name or it may be the name of your products or services. Either way, it is your signature which identifies you and sets you apart from your competitors. Your Brand a valuable commercial asset and warrants ownership protection by registration as a trademark. Your brand is valuable: And it becomes even more valuable the more you use it. It is your signature which attracts the goodwill of your business and may go on to be worth many millions. 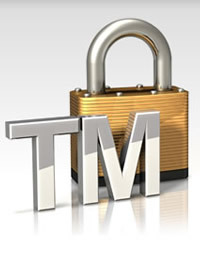 Its ownership value can only be “locked in” through registration as a trademark. Ownership: Registration of your brand as a trademark gives you exclusive rights of ownership. If you do not register your brand, someone else may, to your detriment. Brand Theft: Registration as a trademark constitutes a presumption of ownership of your brand and is essential to prohibit others from copying it. It is notice to others that they use a confusingly similar brand at their peril. Brand Investment: Registration as a trademark secures your rights before time and money is spent on advertising and marketing. You may be building up goodwill in a brand you do not even own! Someone else may decide to register your name or brand before you do! You may even be shut down and prevented from operating under your chosen brand! Protection of your brand is protection of your investment. Exclusive Rights: Neither company name nor domain name registration protects your brands. Only trade mark registration does. Franchising: Registration is paramount should you wish to franchise or license others to use your brands or business names. Business Asset: Registration of your brands as trademarks provides proper protection of these assets on your balance sheet and entitles certain income tax deductions. Goodwill Protection: In the purchase of a business, a price is often being paid for cash flows generated by goodwill. Your goodwill is synonymous with your brand and warrants protection in order to ensure sustainability of income. Infringement Immunity: Registration of your brands as trademarks guarantees immunity to infringement actions based on registered trade marks of other parties. For more information on registering your brand, contact one of our legal advisors for free trademark advice or read further on the trademark registration costs.